Ama Dablam is considered to be the most technical & complicated to climb. 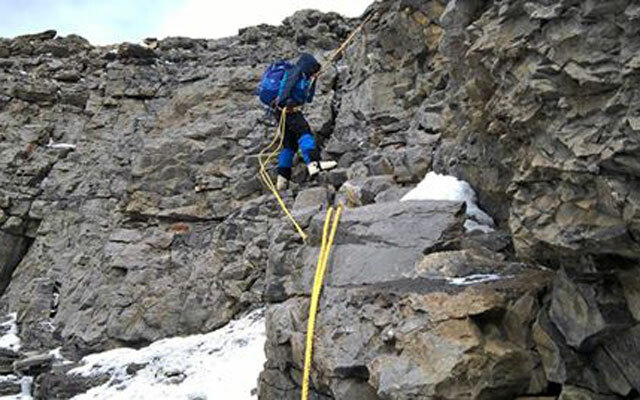 The mountaineers have to cross-difficult ice rocks and vertical snow climbing on their climbing path. 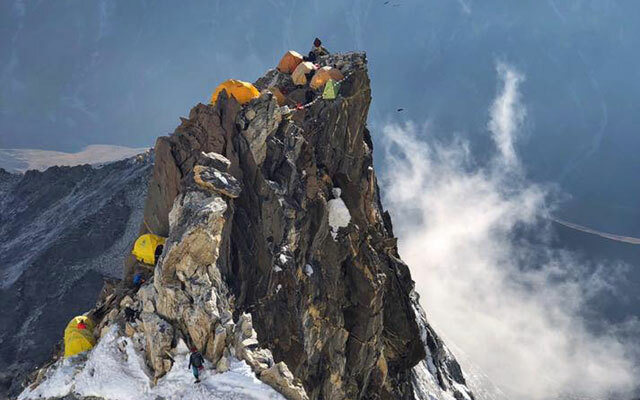 Mountaineers usually have to pitch 3 high camps on the mass of mount Ama Dablam 6856m. 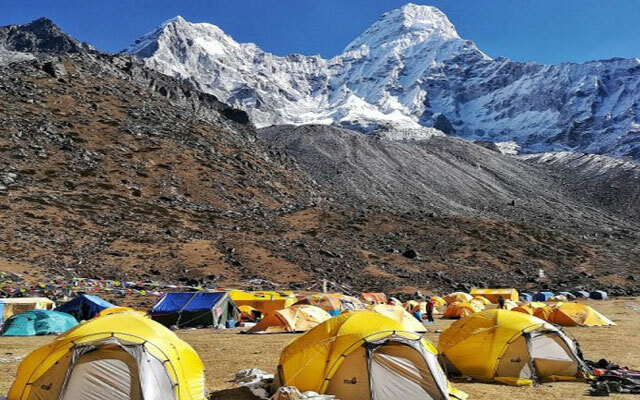 To reach the first camp from base camp, the climbers have to pass the toughest and the difficult passing through the difficult saddle ridges; and then should spin to the north climbing up through the rocky land and through the boulder. From Camp I - one has to cross the rocky sink and should climb the ridge via to the fixed lines to Camp II. From Camp II after crossing over severe rocks and ridge which lead you to a camp II. The Ama Dablam climbing route from Camp II is mostly with the steep mixed alleyways of rock, ice and snow. The route leads to the slope, climb to snow ground and then passes through steep snow and ice channel, then finally along the snow ridge go to Camp III. From Camp III to the summit, it is a steep climb on snow and ice to the right of a huge hanging glacier. After scaling the summit, we return back to base camp. From the Top of mount Ama Dablam very charming senescence of Mount Everest, Lhotse, Nuptse, Cho Yu, Island peak, Makalu, peanuts, Khumbu Himalayan and the rest of the snow capped surrounded mountains can be envisioned. After scaling the summit, we return back to base camp. Day 02 and Day 03: Kathmandu free day and Official works for expedition and briefing by officer of Ministry of Tourism, Overnight Hotel (BB). Day 04: Phakding (2640m) - flight to Lukla (2840m) and 3/4 hours trekking to Phakding, Overnight Hotel (B/L/D). Day 05: Namche (3540m) - 5 hours trekking to Namche Bazar, Overnight Hotel(B/L/D)..
Day 06: Namche Bazaar - Rest day for Acclimatization explore Namche Bazar , Overnight Hotel(B/L/D). Day 07: Tyangboche (3767m) - 4.30 hours trekking to Tengboche or Tyangboche, Overnight Hotel (B/L/D). Day 08: Thyanboche - Ama Dablam Base Camp, 4-6 hours, Overnight Tented camp (B/L/D). Day 09-25: Climbing Period for Ama Dablam 6812m. Tented Camp (B/L/D). 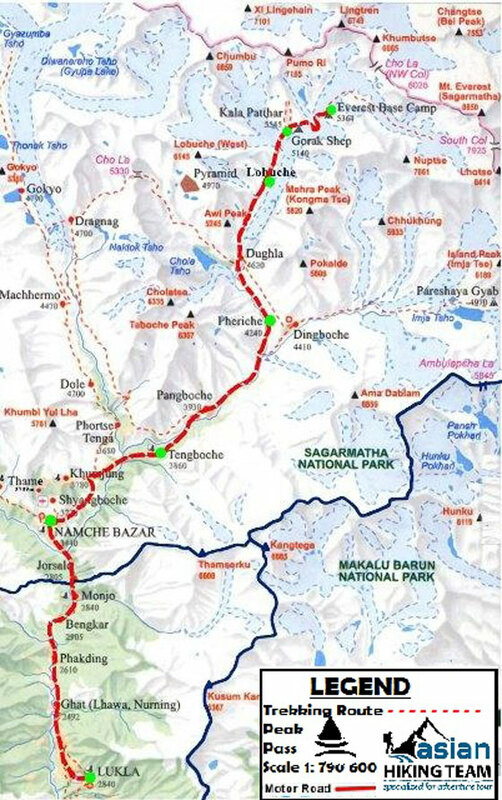 Day 26: Ama Dablam BC -– Namche Bazar 5-6 hours, Overnight Hotel (B/L/D). Day 27: Namche Bazar –Lukla 5 hours, Overnight Hotel (B/L/D). Day 28: Fly back to Kathmandu, transfer to Hotel, Overnight Hotel (BB). Day 29: Free day in Kathmandu, Overnight Hotel (BB). Day 30: Depart from Kathmandu (B). Kathmandu to Lukla / Kathmandu domestic air ticket for Liaison Officer and our guide. Three meals a day (B/L/D and twin sharing Hotel / Guest house accommodation during trekking and freshly cooked 3 meals, with Tea or coffee, water by professional cook in Base Camp. 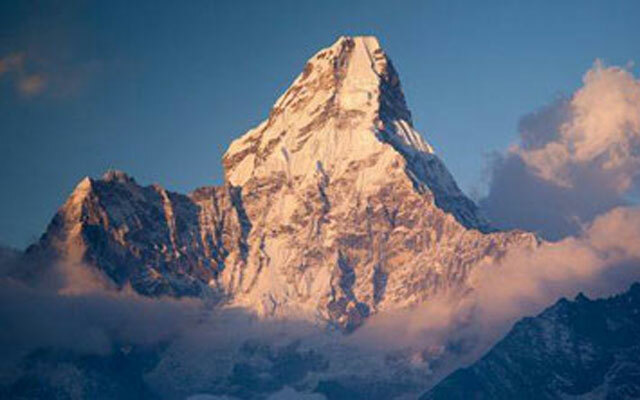 Rope fixing fee for Ama Dablam only payable to EOAN ( expedition operators association of Nepal ).